Join us in fulfilling our goal of 50 new members! If each member recruits one new member, we will far exceed this goal. Need tools to help you recruit? Grab a few business cards from your table at the next luncheon meeting and pass out to friends. Also, like us on Facebook and pass along program details to your friends. Together, we can succeed! Be sure to have your recruit indicate that you referred them - there are "I Got Mine" buttons in store for those who recruit new members! Since the beginning of the membership drive, 30 new members have joined Salem City Club! Credit/debit cards will only be accepted online. Only Cash/Check will be accepted for at the door payment. SCC programs can be seen on CCTV, Comcast Cable Channel 21, for two weeks starting the Wednesday after the meeting at 6 PM, Thursdays at 4:30 PM,Fridays at 7 PM, and again Saturdays at 1 PM. Friday programs are hosted at Willamette Heritage Center at Mission Mill. Doors open at 11:30 AM with program commencement at noon. Lunch reservations required – rsvp@salemcityclub.com before noon Wednesday. 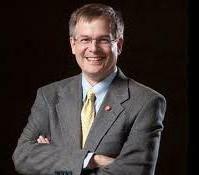 Steven Thorsett was named Willamette University’s 25th president in July, 2011. He was formally inaugurated in February of this year, and he will be our guest speaker on Friday, May 18. Son of a Willamette biology professor, Steve grew up in South Salem and is a 1983 graduate of South Salem High School. Influenced by Willamette’s liberal arts focus and intimate learning environment, he attended Carleton College, graduating with honors in mathematics, and went on to earn his master’s and doctorate in physics at Princeton University. In addition to a distinguished career in teaching and research in the field of astronomy and physics, Steve served most recently as the dean of the Division of Physical and Biological Sciences at University of California, Santa Cruz. He is married to Rachel Dewey Thorsett, who is also a highly-regarded professor of physics, and they have a daughter, Laura. Steve was first introduced as Willamette’s incoming president at Commencement in May, last year. With the 2012 commencement this year, he concluded his first full academic year, and therefore will take the opportunity to share with the Salem City Club his own personal and professional reflections on what we hope will be the first of many years as the President of Willamette University. Please join us on Friday, May 18 as we hear from one of Salem’s very own, Steven Thorsett, Willamette University’s 25th President. For lunch reservations email rsvp@salemcityclub.com before noon Wednesday, May 16, 2012. Parking is free. Doors open at 11:30 AM. For more information on this program please go to www.salemcityclub.com. 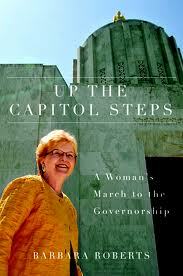 governor, Barbara Roberts, will discuss her life in the Oregon political arena and feature stories from her newest book, Up the Capitol Steps, at Salem City Club’s annual meeting on Sunday, June 10, in the Dye House of the Willamette Heritage Center at the Mill. 6:30 p.m. Dessert and Program. In honor of Governor Roberts' appearance at the Salem City Club’s annual celebration, SCC will forego its traditional silent auction fundraiser and instead give back to the community by partnering with Marion County’s “Reading for All” Initiative and Marion-Polk Food Share. Every spring break, Reading for All provides books and MPFS provides free meals to low income children in Salem-Keizer School District and various cities in Marion County. This Spring Break, 8,000 lunches were served and more than 7,000 childrens books were distributed in 42 locations in the Salem-Keizer School District and rural Marion County, including schools, churches, community centers and all of the Boys and Girls clubs. Salem City Club members are asked to support these programs by collecting new and slightly-used books for readers pre-school through the third grade and by bringing them to the annual meeting. There is a special need for books (Spanish and English). Scroll down for a list of preferred authors and book titles. Cash donations will also be welcome. According to Arturo Vargas, program coordinator for the county program, it takes an entire year to collect the thousands of books needed for the Spring Break program. The Salem City Club’s donations will kick-start the collecting for next year’s giveaway. Vargas explained, “Many of these children as so excited about receiving a book that they always want to read the book before their meal." Governor Roberts' books will be available for sale before and after the program. Annual meeting online reservations are now being accepted at rsvp@salemcityclub.com or by calling (503) 370-2808. Cost for the evening is $32 a person. Here are some of the titles that children and families love to have. Most of these titles can be ordered both in English and Spanish. Reading for All is an initiative that promotes literacy in the Northern Willamette Valley region. The intent is to encourage reading for children and families in order to promote academic and lifelong success. Polar Bear, What do you Hear? You are receiving this email because of your association with Salem City Club. Copyright (C) 2012 Salem City Club All rights reserved.